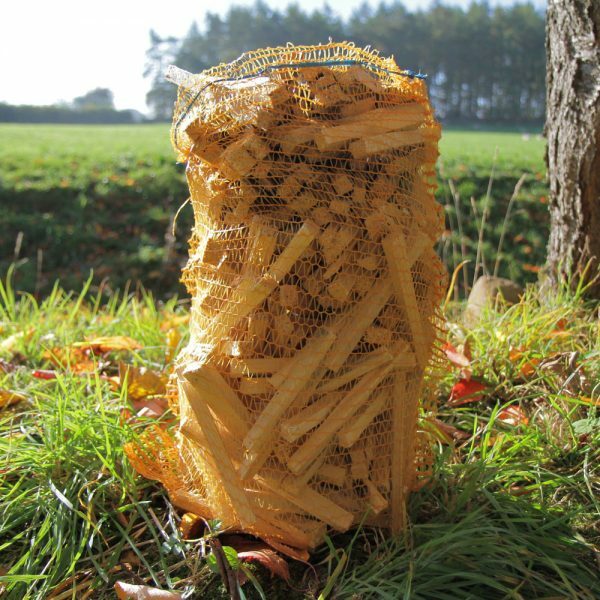 Recycled from pine packaging, this kindling is kiln-dried and therefore ideal for starting your fire. Only available as add-ons to your order. Bag measures 40cm x 65cm.